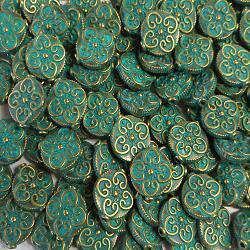 THESE ADORABLE BEADS CAN BE USED TO ADD VARIATION TO YOUR MOSAIC PROJECT. AVAILABLE IN 10, 25, OR 50 PIECES. HOLE DIAMETER IN THE CENTER OF THE BEAD IS 1.5MM.